Thank you for your support in our effort to keep changing Maryland for the better! I look forward to continuing to serve as your Governor for the next four years! See Pictures from Election Night! Let's Continue to Change Maryland! “Four years ago, we very nearly endorsed Larry Hogan for governor. We had significant doubts about his Democratic opponent’s record and the campaign he had run. 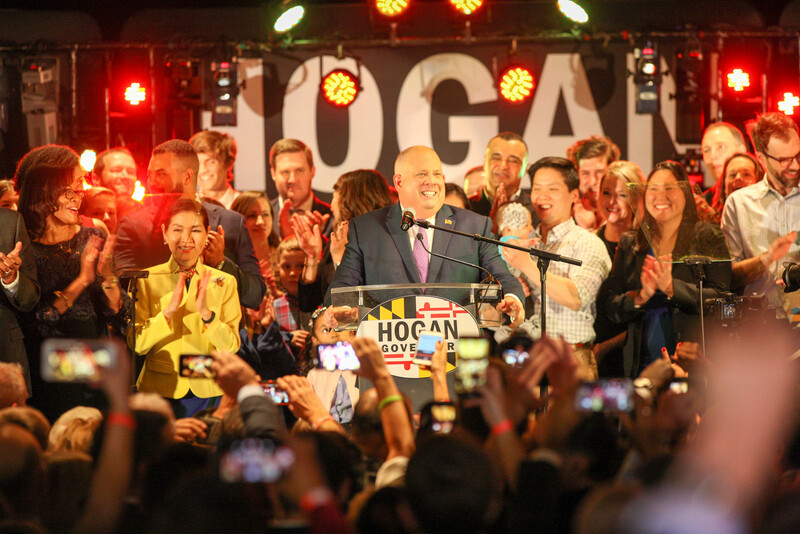 Mr. Hogan, meanwhile, offered the prospect of something we had long thought Maryland needed — a moderate, pragmatic executive who could cooperate with the Democratic majority in the General Assembly or act as a check on it when warranted. … “Today, many of our concerns have been allayed. “Having campaigned in 2014 on a platform by turns vague, glib and pie-in-sky, Maryland Gov. Larry Hogan shifted gears and struck a clear and bracing note on the day he took office, promising in his inaugural address to surmount partisanship and wedge politics in favor of what he called a bipartisan politics of ‘middle temperament. That was January 2015, before anyone foresaw the rise of Donald Trump. To his immense credit, Mr.